I only remembers bits and pieces. It seemed like star trek with comedy element. I think it takes place on a ship in space. There is a group and i think there might have been 1 black dude as well among the crew. I remember that in one episode, they crash or something on maybe another planet. They have no food and somehow they end up eating one of the crews without them knowing that it was human flesh they were eating and not a chicken or something. Does anyone know what show I'm talking about? It sounds like you're referring to the Red Dwarf episode "Tikka to Ride"
LISTER : Yeah, really good. 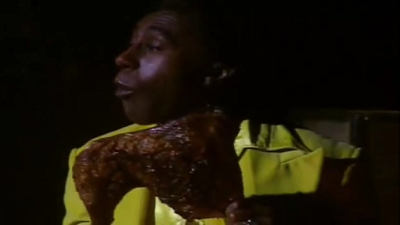 KRYTEN : That's not chicken, sir. CAT : Oh, what is it? KRYTEN : It's that man we found. That sounds like the British TV series Red Dwarf. There are several episodes where they crash on planets, moons, asteroids, etc., and there were both mixed-race and black cast members (although the latter was actually playing a super-evolved humanoid cat). I believe the specific episode you're thinking of is "Tikka to Ride", season 7 episode 1.